LoveYatri Box Office Collections Day 1: Salman Khan’s production film LoveYatri hit the theatres on October 5 and it has been getting mixed response from the audiences. 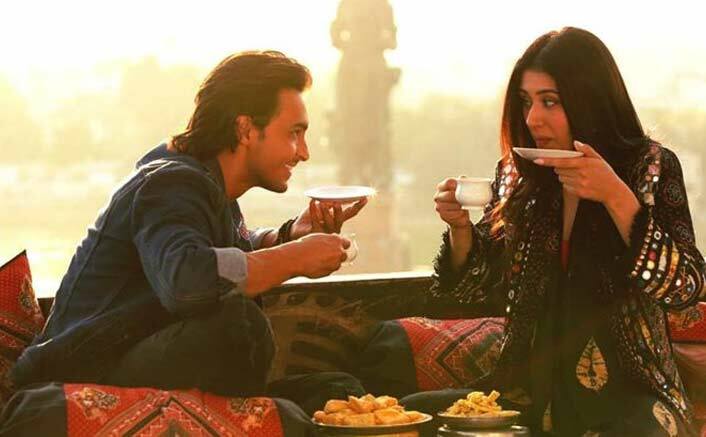 Starring the debutants Aayush Sharma and Warina Hussain, the film has taken a slow start at the box office too. Due to the mixed word of mouth and negative reviews, the film’s business will definitely get affected in the coming days. But today, Janta is the king! So anything can happen. LoveYatri has a hugest competition at the box office since Ayushmann Khurrana’s AndhaDhun has also released. The positive word of mouth and super amazing critics are helping the film to gain more eyeballs. Well, the coming two days are quite crucial for LoveYatri. LoveYatri Movie Review: Salman Khan Launches New Talent & Lynches His Audience! Set against the backdrop of Gujrat, the romatic drama unfolds the love story of the leading couple over bonding over Garba. Giving a sneak peek into the colourful festival of Navratri. Proving to be festive treat, LoveYatri captures the essence of Navratri with Garba being crux of the film. The movie is shot in London and the outskirts of Gujarat. LoveYatri is directed by Abhiraj Minawala who has also made his directorial debut with the film. The romantic drama marks the fifth venture of Salman Khan Films. The post LoveYatri Box Office Collections Day 1: Takes A Fair Start! appeared first on Koimoi. Soorma Box Office Day 1: This Diljit Dosanjh Starrer Takes A Fair Opening!